It is a mistake to dismiss our languages as part of history, and long gone. They’re not. They are alive and vibrant. They are in a new phase of growth. They’re part of us as the Indigenous people of the land. Our languages are the voice of the land, and we are the carriers of the languages. Despite the grim details discussed above, many of these languages are not considered ‘dead’ or ‘extinct’ languages, even though they have no living speakers. Instead they are referred to as ‘sleeping’ or ‘dormant’ languages. 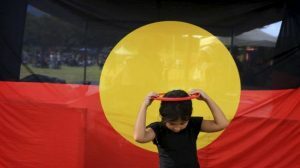 Over the past several decades there have been many efforts by linguistic experts and descendents of speakers to revive the linguistic heritage of Indigenous peoples from around Australia. Many languages which have no living speakers at the start of the revitalisation process have been reconstructed using old tape recordings, materials from existing word lists and manuscripts, and fragments of knowledge from elders’ childhood memories. Today, language revival is a priority for many Indigenous people, and several successful language revival projects are being implemented. 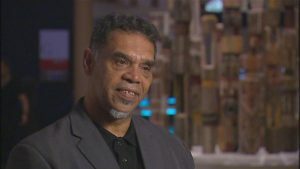 For example, the NSW Board of Studies has developed a new syllabus (Aboriginal Languages K-10 Syllabus) that enables students to begin to gain proficiency in a local Aboriginal language, develop and understanding of the similarities and differences in the structure of Aboriginal Languages and the relationship between land, language, culture and identity. An exciting example of language revitalisation in Australia is that of Kaurna in Adelaide (Amery 2000). Until around 15 years ago, Kaurna language materials recorded by German missionaries in the 19th Century remained in archives unused, and the language unspoken since the ‘last speaker’ passed on in the 1840s. However, through linguistic reconstruction that began with the writing of six songs in 1990, the language has been revived considerably; programs have been established for a range of learners and the language is beginning to take root within local Indigenous households. The Kaurna language is also being taught to local Indigenous children with the help of the SA Education Department.